Brave New World: Google to Redefine Music with 'Music Key'? Today more and more kids watch music than listen to it. YouTube has turned music from being a one dimensional experience into a multi-dimensional one. What was once only available as audio produced in a studio now can have many renditions with video and stills from live concerts. The depth and range of music on YouTube is staggering as is the hits many renditions receive and have given for free. 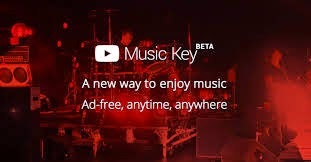 Google is starting a YouTube ‘Music Key’ subscription service enabling users to stream ad-free music videos for offline use and for a £9.99 it also provides membership to their sister music download service Google Play All Access. This gives Google a significant advantage over its audio only rivals. The way that the music industry is currently structured around just three labels gives Google equal terms to that of its audio only rivals and now enables them to move at speed to offer depth and breadth on as ‘much as you can eat’ basis. Taylor Swift and The Beatles may be able to act independently of the big three and cut their own deals but it’s still about range and Google have just redefined range and offer. When you bought records you owned them and they often sat proudly on your shelves saying who you were. Today we don’t own music but listen and watch it on demand and it’s the social networks who help to define our tastes. The likes of Spotify will have to think hard as today all we have to switch is a monthly subscription and we still have access to discover and play everything. Would you buy yesterday’s offer when for the same outlay you can take it to another level?